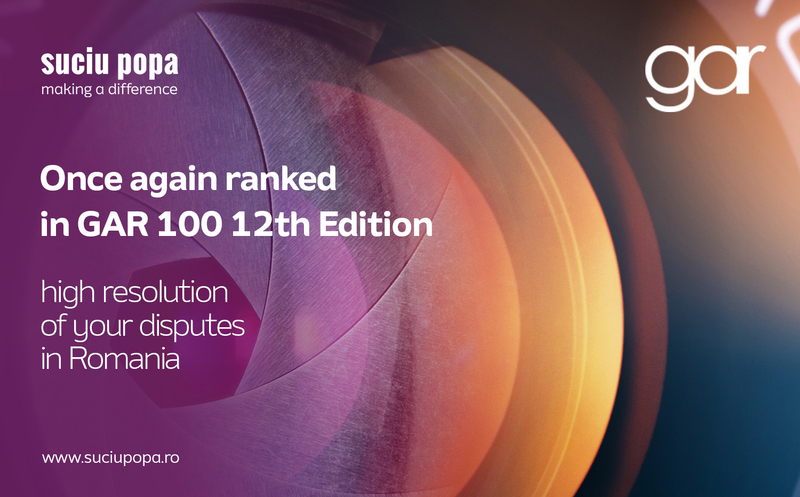 The 12th edition of Global Arbitration Review’s GAR has once again recognized Suciu Popa as „one of the world’s leading international arbitration practices”. 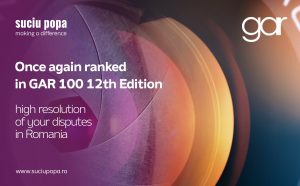 Suciu Popa’s listing in these prestigious rankings reflects the firm’s strong international arbitration practice as well as the complexity of the arbitration caseload. GAR highlighted the value of the ongoing projects handled by Suciu Popa to approx. USD 450 million and the firm’s involvement in 14 arbitrations. The GAR 100 list is based mainly on the number of merits hearings in which each firm has participated, the value of the cases and the number of arbitrator appointments the firm’s lawyers have received. GAR prides itself on publishing reliable and informative data on practices of all sizes from all parts of the world based on a stringent research and assessment. Suciu Popa is a top tier Romanian law firm, covering the entire spectrum of legal matters in key practices such as Litigation and International Arbitration, Mergers & Acquisitions, Energy & Natural Resources, Banking & Finance, Employment, Compensation and Benefits, with confirmed track record by all legal international directories such as Chambers & Partners, Legal 500 EMEA, IFLR 1000 and by the international and domestic business community.